12 Tips for Improving Your Bowel Function – Part 1 - YeastInfection.Org by Eric Bakker N.D.
You have just read the section on fermented and cultured foods; doesn’t it make sense to start including some of these you’re your diet every day? These kinds of foods include yogurt, kefir, kombucha, tempeh, fermented coconut water, miso, soy, tempeh and no doubt there will be several other kinds fermented foods. Besides containing beneficial bacteria like lactobacillus and bifidobacterium, fermented and cultured foods provide your body with lactic acid, and lactic acid is what feeds beneficial bacteria like lactobacillus acidophilus. A good way to begin to incorporate these foods into your diet is to include a small portion, about three to four tablespoons, of a natural yogurt into your diet each day. Beware though, as I mentioned before, not all yogurt is created equal, and some brands are laden with artificial sugars and don’t even contain a shred of beneficial bacterium. Always read the label first, and if in doubt, avoid buying yogurt from your supermarket and purchase from your organic wholefood suppliers instead, these kinds of folk are often less motivated to look only at profit and are focused on providing you the consumer with foods that are actually healthy. It never ceases to amaze me how many patients I have seen over the years who simply don’t eat much fruit at all, perhaps one piece every so often, and the vegetables they consume are either bought frozen or consumed after having being been boiled or microwaved. Fruits and vegetables contain some of the best levels of soluble and insoluble fiber you can get, be sure to read what I have written further ahead in this section on fiber in your diet. There are so many ways you can increase the amount of fiber you can take in, but once again, go easy to begin with. You’ve heard it all before; go low and go-slow is my motto when it comes to making any changes to your diet and digestion. It is a fact that most people eat a small amount of fiber (20 to 40 grams) when compared to people who live in the undeveloped nations (80 to 120 grams), and as a consequence they experience all the digestive problems that go hand in hand with such low-fiber diets. Start by including small amounts of beans, lentils, fruits (wait until your candida improves first before including too much fruit), vegetables, raw or partially cooked are best, seeds, whole grains such as brown rice, quinoa, amaranth, millet are best, and continue to add these foods slowly over a two-week period until over half of what you eat are these kinds of foods. So you want to eat less, lose weight, feel full and improve your bowel tone? Then eat more soluble fiber; these foods include pears, oranges, strawberries, kiwi fruit, carrots, psyllium hulls, slippery elm bark powder, lentils, rolled oats, and cucumber. Soluble fiber fills you up as it swells up in your stomach due to its ability to hold water; you feel fuller and thereby eat less. So you want to bulk up your bowel motions, or perhaps clean out that lazy bowel? Then try including insoluble fiber into your diet. These foods include brown rice, onions, leafy green vegetables like broccoli and spinach, celery, bulgur (cracked wheat), chia seeds, various nuts and seeds and whole grains. So you want to reduce the amount of gas and bloating you have and feed up any good bacteria you have? Then I recommend you consume a combination of fermented and cultured foods as well as foods which contain pre-biotics, basically these are beneficial sugars which feed the friendly bacteria. The pre-biotic feeds the probiotic, and these foods include Jerusalem artichoke, artichokes, garlic, onions, shallots, scallions, and spring onions. This is quite a simple achievement, just reduce the amounts of foods you buy and eat which contain sugars and fats. Be sure to read the labels of processed foods you buy to see how much sugar and fat they contain. It won’t be difficult for you to do this if you prepare most of your own meals from meats, grain and vegetables, because you control what other ingredients then go into your meals and not some manufacturer in a factory far away. The problem with foods containing sugars and fats is that they will also contain all manner of chemicals such as artificial colors, flavors and preservatives that you may not be aware of, especially if these foods are highly processed foods. The less of these foods you consume, the better your digestion will work and the more likely that you will be able to build good levels of beneficial bacteria. This will result in an easier ability for your body to crush a yeast infection. This sounds like a simple tip but is the one health boosting tip that many never seem to be able to achieve, to drink more water. Your digestive system will work so much better when you consume ample water, and you will be quite surprised how much better you feel overall when you are more hydrated. Your digestive system will work that much better, especially your stomach, pancreas and intestines, and although no proof exists that water actually aids digestion I have certainly noticed that those with a yeast infection who do drink water and considerably less coffee, tea or alcohol, appear to have much less bother with many different digestive problems. Remember also, that when you slowly add more fiber into your diet that it really pays to drink a lot more water. The best approach in improving your digestion however, is to cut back on sugary, salty and fatty foods, increase the number of fruits and vegetables and whole grains your consume (fiber) and drink more water every day. Try this for twenty-one days and you will be delighted at the difference these simple dietary tips can make to your life. Did you know that one of the best-kept secrets to crushing candida permanently is to improve the ability of your digestive system to produce digestive enzymes? 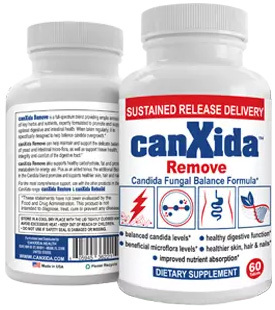 Many high quality candida supplements contain enzymes, and now why would that be? It’s because enzymes can help to bust open the walls of yeasts, bad bacteria and other nasty bugs which may invade your digestive system. By eating smaller meals more frequently, you avoid over-loading your digestive system and because your body is better at digesting smaller quantities in one sitting you will be improving the way the digestive organs work. Can you recall I mentioned just before that your stomach is like a cement mixer, it functions best when half full and not overloaded? First you will need to figure out how much food you need to eat per meal, and then try to keep a regular schedule that your body can adjust to. This will take about two or three weeks. Look at the palm of your hand, and if you are a meat eater, that’s the size of the piece of meat you should be eating each day. Many adults eat too much meat, and the portion sizes are just too big. While protein is essential for good health, you will find that smaller amounts of lean cuts of meat are less likely to cause digestive discomfort such as heartburn, bloating or gas and will be quicker to digest. In general, high-fat meats take longer to digest than low-fat meats, so always choose meat containing less fat. Can you handle these? If yes then click here to read the part 2 of my post.